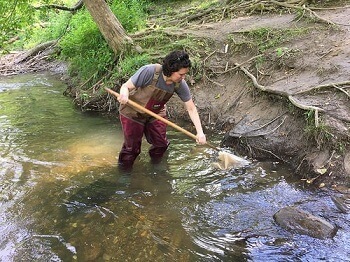 The Maryland Department of Natural Resources is offering trainings and certifications in Maryland Biological Stream Survey sampling protocols. Two training opportunities will be held at Howard County Community College, one in February and another in May. Through a mix of classroom and field experiences, participants will learn and be tested on benthic macroinvertebrate and fish sampling methods, physical habitat assessment, fish taxonomy and how to be a crew leader. Spring training will be held 9 a.m to 3:30 p.m. Feb. 26; registration deadline is Feb. 12. Summer training will be held May 28-31; registration deadline is May 1. Training sessions are intended for professionals but are open to anyone. A full training schedule, registration materials and details can be found on the Maryland Biological Stream Survey website.